Greg Playing in a Baja Rock Garden. 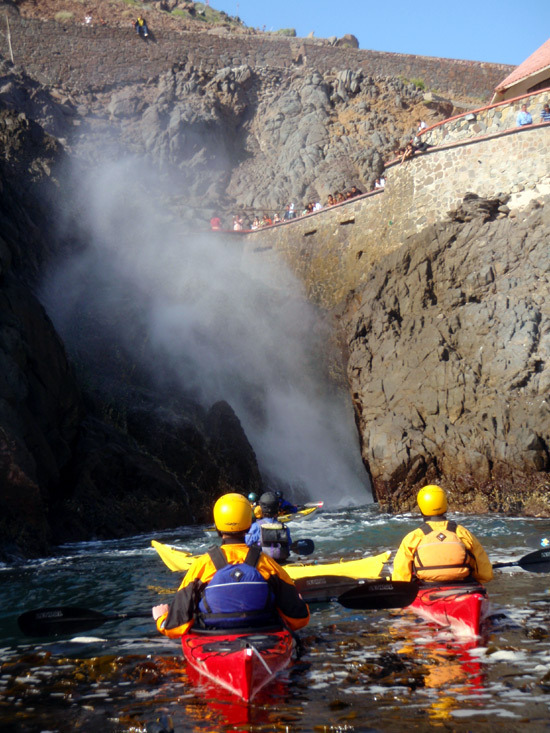 La Bufadora Blowhole. One of the most spectacular in the world! 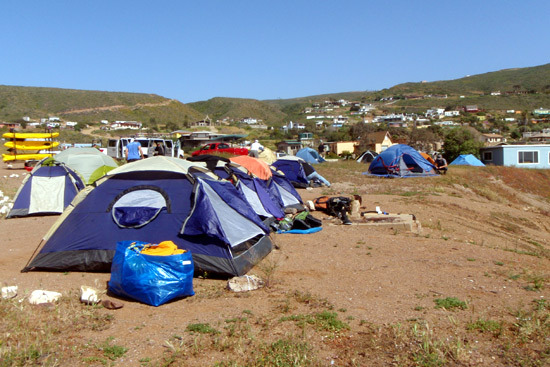 Our “tent village”. Perched on a cliff overlooking the beautiful Pacific. Many thanks to Jen Kleck and Jake Stachovak of Aqua Adventures for flying me in to coach in San Diego at the Southwest Kayak Symposium . This was my first time teaching in Southern California and it was good to make acquaintance with a number of people that I have corresponded with, including members of the Greenland-style community such as Duane Strosaker and others. 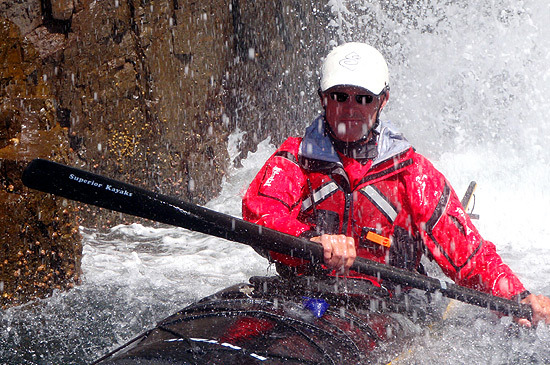 I taught a mix of both Greenland-style skills and “Euro” skills using a narrow Greenland paddle. Kudos to Jen for understanding that these skills are not mutually exclusive. I enjoyed the students in all of my classes! Symposiums, for those on the “circuit”, is akin to being part of a diverse, entertaining and sometimes, …..well…, gloriously dysfunctional family. It is amazing to travel over the world and share the experience with a collection of special friends. The catch, of course, is that you don’t see these friends very often, but that is partially what makes the experience so special. 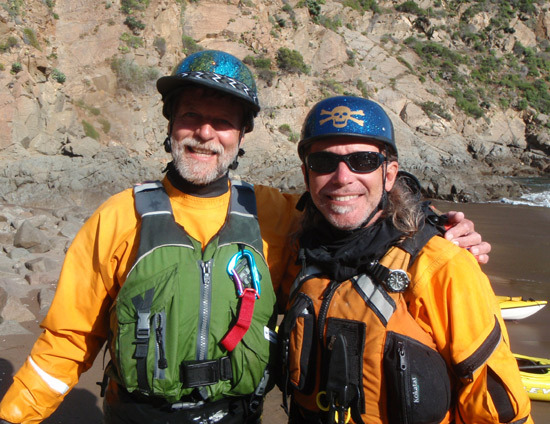 Fellow Floridian and paddling buddy Russell Farrow, of Sweetwater Kayaks (Clearwater, Florida), was there, along with Nigel Foster, Steve Maynard, (born to be wild) Phil Hadley, Tom Bergh, Sean Morely and a number of other colorful characters.